We the students, parents, community members, and taxpayers of the Downingtown Area School District (DASD) plea to the Downingtown Area School Board to recognize the holiday of Diwali as equal to the other holidays DASD celebrates including Presidents' day, Christmas, Easter, and Thanksgiving. Within the past decade, the Downingtown Area School District has experienced unprecedented population growth and demographic changes. More specifically, East Brandywine, Uwchlan, Upper Uwchlan, West Whiteland and West Pikeland townships have all experienced the further development of the Indian-American community. According to the United States Census Bureau in 2016, it is estimated that the Indian community in the zip codes 19335, 19341 and 19425 are the largest minority ethnic group. 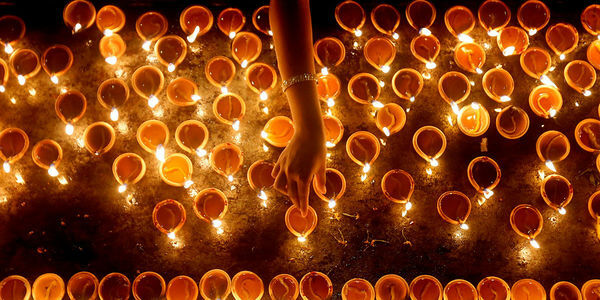 Diwali is one of the most famous and popular festivals in Indian culture and around the world. In essence, Diwali is the festival of lights and celebrates the triumph of light over darkness in all terms and matters of life. Good over evil, compassion over hate and knowledge over ignorance are all universal and valuable ideologies that are symbolized by this grand Indian celebration through its significance. The celebration of Diwali also highlights and defines the importance of self-growth, happiness, and doing what is right. This festival of light is one of the most joyous celebrations in the entire year with fireworks and lights everywhere. It has already been widespread in the Downingtown community itself with local mass celebrations, such as the one at Hickory Park, where everyone of any culture participates, has fun, and celebrates together. Therefore, it would only make sense if this wondrous celebration was extended to our schools. The Downingtown Area School Board, as a public-school board, is intended to serve as a public, representative, democratic entity. Board members are elected into office by their constituents from their township or sub-district. The Indian-American communities are the biggest minority of DASD and must be recognized as such. The failure to recognize this community as equal demonstrates the neglect of the students and families of the district as well as their respective culture. Allowing this negligence to occur exemplifies the failure of the Downingtown Area School board as a public democratic entity. The Downingtown Area School District is one of the few districts in Chester County with a considerable Indian-American and Hindu population to not recognize Diwali as a holiday. For example, the Chadds Ford-Unionville School District and Great Valley School District, who are our neighboring and rival districts, both recognize Diwali as a holiday. These neighboring districts with similar demographics, unlike DASD, acknowledge their Indian-American community without compromising elsewhere.